Forest Gate Hotel offers budget acommodation and is located in East London, not far from Stratford. The hotel is a 5-10 minute walk from Forest Gate Train Station, from where you can reach East London and the West End. Forest Gate Hotel is also situated close to Wanstead Park, which was originally the formal garden of a spectacular 18th Century manor house, visited frequently by King Henry III. 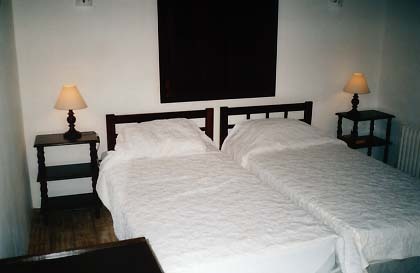 Forest Gate Hotel offers a range of basic rooms, which can sleep up to three people. Every room has a fridge, microwave and kettle. The hotel is close to Stratford, Upton Park, O2, the Olympic Games Park and the home of West Ham Football Club. A 10 minute train ride from Forest Gate Station will take you into the centre of the London, where you can explore the many attractions and the night life that London has to offer. The Hotel is situated in a quiet area a few minutes walk from Forest Gate Station and 50 metres from Wanstead Park. The nearest train station to Forest Gate Hotel is Forest Gate. This station can be reached via an overland train from either Liverpool Street or Stratford. From Forest Gate: Exit the station and walk along Hampton Road. Turn left onto Balmoral Road, which becomes Tynley Road. 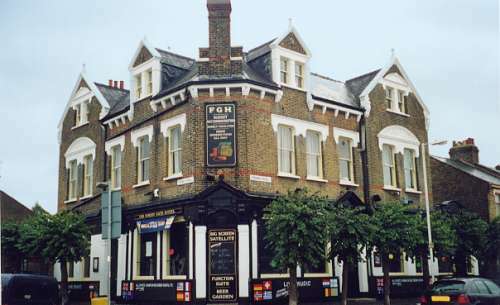 Continue walking and you'll see Forest Gate Hotel on the corner of Tynley Road and Godwin Road, which is on the right.